Location information is critical for news reporting, especially in the event of emergencies, natural disasters, industrial pollution, etc. Relevant location information and insights can not only make the news story more detailed and interesting, but also help readers understand each event and its context more quickly. 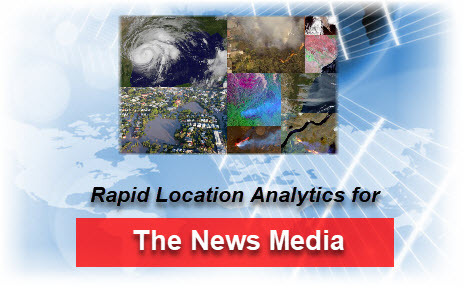 BigData Earth has been developing unique location information products for the news industry. For any location in Australia, the U.S. and elsewhere around the world, a rapid location profile report (with different levels of details) can be generated and automatically delivered in seconds, through its cloud-based, geospatial big data analytics platforms. Content and context: Location profile reports contain a wide range of site-specific environmental baseline data and metrics, such as elevation, slope, surface water flow directions, imagery, vegetation, climate-warming trend, demographics and housing. Various thematic layers included provide rich context about the background and process of each event. For example, the traditional way of disaster reporting with before/after imagery alone can be substantially enhanced with the new integrated information report. Connection: Tangible location information represented in many visual and easy-to-understand forms (with extensive use of maps, charts, and animations/videos/short films) makes the news story more engaging, which can help convey key messages to audiences effectively. Worldwide coverage: The new offering is for three regions through two cloud-based platforms: Australia (https://propertylocation.com.au/), the U.S. and the rest of the world (https://propertylocation360.com/). For locations in Australia and the contiguous U.S., many location metrics at two spatial resolutions (5m and 30m) can be generated. More than 20 sample reports and animations for locations around the world are available at the websites. To our knowledge, this is the first time that such rapid location analytics products have been developed for the international news industry and journalists. The new products reflect a few increasingly important and closely related trends, including real-time disaster monitoring, the need from Earth observation to location intelligence to information sharing, and data-driven news reporting. 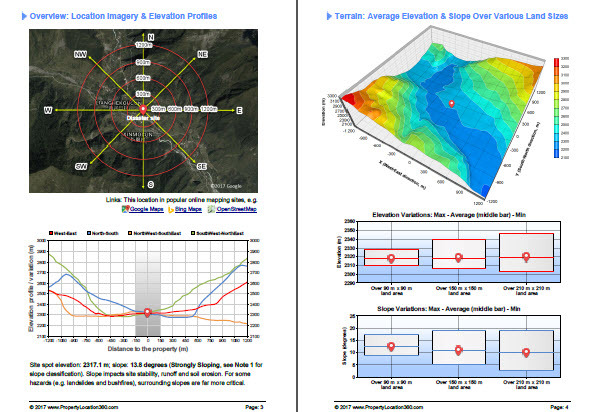 Figure 1: Location metrics included in rapid analysis reports go beyond common basemaps and imagery. BigData Earth ( https://www.bigdataearth.com/) is a Data Technology R&D company and creates innovative location-centric business applications worldwide using Geospatial Big Data Analytics and Global Earth Observation.